It seems that I hardly have any free time these days. That is what happens when you have kids, try to maintain a career, and still somehow manage to dedicate time to your own passions in this life. As we become more and more consumed with families, and work, and socialization, we find that it is harder and harder to give our time away. But, to some of us- there is nothing we do that is more valuable. I volunteer with a local harm reduction group, where our main purpose is to provide much needed harm reduction supplies to the drug users in our area. Living in the somewhat hostile South, we are often limited on what we can actually do, and even more limited as to the capacity we can talk about it. But, one thing that we can always give is compassion, and understanding. And that is one thing that can really make a difference to someone, and it is one thing that we can afford to share without fear of repercussion. I work a mobile outreach van once a week, providing education, support, and harm reduction supplies to the drug users that we encounter. I love working the van, getting out on the streets and back in the trenches. It is a few hours each week that I am always reminded of why I do the things I do, what is important in life, and just how precious my life really is. It is a few hours a week that keep me connected, grounded, and attempt to provide me with some semblance of balance in a place that can sometimes seem extremely unbalanced. I worked the van until my 9th month of pregnancy, when the doctor finally ordered me to take it easy. I waddled around the van weekly, as my coworkers laughed, joked, and waddled along in jest of my large belly. While there were days it was hot and uncomfortable, and I think I can still feel the sweat dripping down my neck as I recollect waddling along and reducing the harm. But, one particular evening really sticks out in my head from those particular shifts. Working mobile outreach in the streets, hobnobbing with active drug users is not the place most people expect to see an enormously pregnant woman. I could feel the stigma of motherhood and drug use, even as I sat on the mobile van, volunteering my time, without drugs running through my veins in over 7 years. I noticed the men eye me sideways as I handed them condoms and lube, smiling, while my belly brushed against the counter. I noticed women eyeing my belly, wanting to ask a question about my pregnancy over bleach kits, smoke kits, and newly balled up cottons, as I watched them hesitate. Unsure of what to say, but even more unsure of what to share about their own lives, their own experiences with pregnancy and motherhood. Many of their stories are probably tinged with sadness, loneliness, or even regret. We all have stories like that to tell, and often they are hard to even speak about. I remember sitting on the back of the van, nearing the end of the pregnancy, as the baby sat hard on my diaphragm, making my breathing labored and short, reminding me slightly of the asthma I had suffered as both a child and later as a smoker. A woman came onto the van, looking for some wound care supplies. She showed a coworker her abscess, as we hurried to get her as many supplies as we could scrounge up. She followed my coworker to the back of the van, where I sat, struggling with the weight of the baby and the weight of my breath in the hot and humid Southern late summer air. One harm reduction worker dove into the deep cabinets in the back of the van, searching for the more expensive treasures that we kept hidden, only to be revealed upon request. She dug out a huge jar of ichthammol, a dark, stinky ointment that we use to help treat abscesses. In the heat of the summer, the stuff becomes nearly liquefied, often making a huge mess, as we tried to transfer it from the large container to a small plastic baggie. We often ended up with the smell of the odd substance permeating into our skin, and lingering for hours after leaving the van. As my coworker struggled with the medicine, while the woman talked on and on, buoyant and light in her step and her demeanor. She tossed her head back, laughing at herself, and her smile seemed nearly infectious. My coworker reached past her, to hand me the baggie, asking me to tie it up as her hands were soiled with the sticky, stinky stuff. As I sealed the baggie, the woman sat down next to me. As I turned to hand her the ointment, I noticed her buoyant babbling had gone silent. 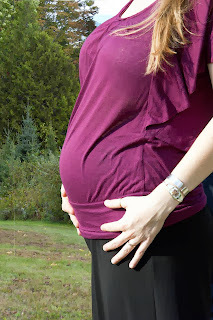 A shy and sensitive demeanor had taken over, and she tentatively looked at my belly and asked if I was pregnant. “Too damn pregnant!” I responded, with my shortened breathing faltering just a little with the weight of another tiny human sitting on my diaphragm. “I am about to pop! Only three weeks left, though,” I added. “Sure,” I responded, encouraging her as I returned her smile. She reached down and rubbed my belly, slowly, as I watched her eyes brighten with a sense of amazement. I watched her mind swirling in thought, and then I saw a tear glisten in her eyes. She seemed to get a far away look, delving deeper into her soul and her emotions. She looked me right in the eye through the tears, and I sensed that she knew she could open up to me. She knew she could trust me with her thoughts and her story. Her voice never wavered as she spoke, but her eye did waver slightly, as I could tell her heart, too, was wavering with some heavy emotions. Her voice softened, as if to tell me this secret she had been keeping, but to quietly whisper it so no one else could clearly hear the details. “I recently found out I am pregnant, too,” she began. She looked down at her feet, as the tear grew just a little. “With twins,” she whispered. I could see the mixed emotions on her face, and feel their palatable conflict in the air. I sensed her fear and trepidation, but also the happiness and amazement a mother feels when she is growing another life inside of her. I sensed her hesitation at her own words, as she had not hidden her drug use, while she had hidden her pregnancy. I could feel her fear of judgment and the accusing eye so many give a pregnant woman who is using drugs. The client’s whole body seemed to relax at my reaction, and her eyes then brightened with excitement. She breathed a huge sigh of relief and smiled. I took her hand in mine, and told her I would probably be scared to death in her shoes. I spoke for a moment about the mixed emotions of pregnancy; the excitement, the nervousness, and the fear- all rolled into one. She listened, excited and attentive. I reminded her that if she needed anything, that she could always come to us for help. I told her we had so many resources, and encouraged her not to hesitate to let us know if there is anything we can do to help her with this situation. I did not mention her drug use, and I did not tell her she needed to quit. 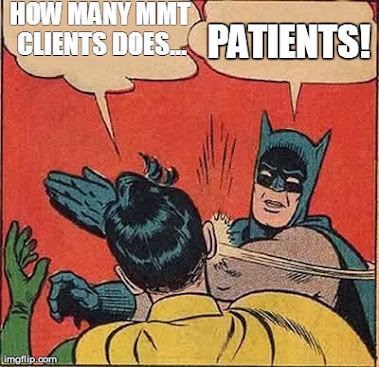 I did not mention treatment, either. I just let her know, without ever saying the words, that I understood her inner conflict, and I reassured her that she had a place to turn, if she needed. She thanked me, rubbed my belly once more, and then bounded off the van, even more buoyant than she had entered. I watched her nearly skip down the street. I had hoped she would come back for some resources, maybe a referral to treatment. 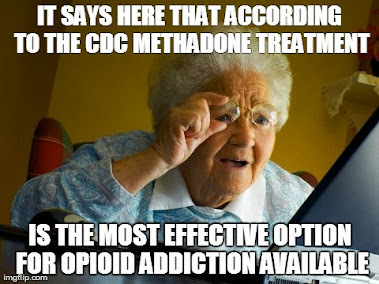 I also thought that maybe I would simply not see her again because she had decided to get on methadone, or maybe had decided to stop using one way or another. The following week, I found myself looking for her, wondering how she was doing. I have not seen her again, but she did return to the van. I was not there because I had been ordered to rest, and working the street outreach team was not resting in my doctor’s eyes! 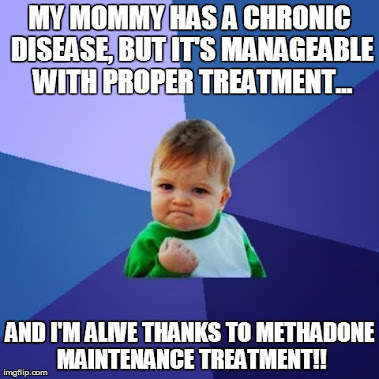 She came back, looking for me, to let us all know she had started the methadone program, and she was so happy and excited about the twins. The stigma of motherhood and drug use runs so deep, that most people frown at the woman who is using when she knows she is pregnant. Even when the mother is not sure what her decision on the pregnancy will be, people still admonish her for using. The judgment is harsh, and few are forgiving to a mother who is using. But, that is not the way that anyone can encourage the mother to get help. Judgment only produces fear, and that fear keeps women from getting the help they need when they need it most. Compassion and understanding can open the door to recovery much wider in so many cases. Maybe it is easier for me because I really do understand. Or maybe it is easier for me because I truly believe in the principles of harm reduction. Whatever the reason, I know that it changed that woman’s life. And that is what my volunteer work is all about. Thanks, Mo! I do really love working in harm reduction. A long and winding road finally led me to harm reduction- and I am so thankful to have chosen this path. Your heart is in the right place, sweet friend. I admire your resolve and your passion. Great article Eliza.I was in tears trying to see through them to read on. This touches my heart immensely. please keep doing what you're doing.